Wistfully dreaming about making “passive income”, but frustrated by a lack of results? Affiliate income may be the answer, and this book is here to help! In the (newly-updated!) No BS Guide to Affiliate Marketing for Travel Bloggers, we skip the basics and dig deep into why affiliate marketing might not be working for your travel blog (yet!) – and how to fix it. 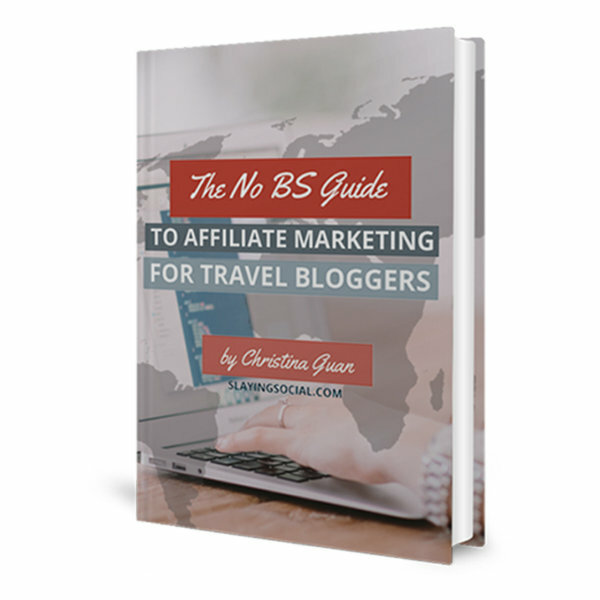 As one of the only resources out there dealing specifically with affiliate marketing in the travel sphere, this 75 page book cuts through the fluff and provides clear, concise, no BS advice on how to get affiliate marketing to work on your travel blog.